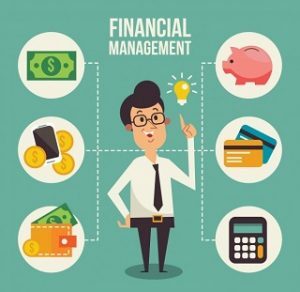 The financial management is generally related with accumulation, allocation, and administration of financial resources of a concern. Normally the objectives of financial management is to maximize the value of the firm. And while we can state this objective simply, it is much more complex then that. The management of the firm involves many stakeholders, including owners, creditors, participants and others. The main purpose of any kind of economic activity is earning profit. A business concern operates mainly for the purpose of making profit. Profit has become the yardstick to measure the business efficiency of a concern. Profit maximization is also the out-moded and narrow approach, which aims at, maximizing the profit of the concern. Profit maximization consists of the following important features. -Main aim is earning profit. -Profit is the parameter of the business operation. -Profit reduces risk of the business concern. -Profit is the main source of finance. -Profitability meets the social needs also. -Profit maximization leads to exploiting workers and consumers. -Profit maximization may lead to unethical practices, unfair trade practice, etc. -Profit maximization objectives leads to inequalities among the stake holders such as customers, suppliers, public shareholders, etc. -It is vague: Profit is not defined precisely or correctly. -It ignores the time value of money: Profit maximization does not consider the time value of money or the net present value of the cash inflow. It leads to certain differences between the actual cash inflow and net present cash flow during a particular period. -It ignores risk: Profit maximization does not consider risk of the business concern. Risks may be internal or external which will affect the overall operation of the business concern. Wealth maximization is one of the modern approaches, which involves latest innovations and improvements in the field of the business concern. The term wealth means shareholder wealth or the wealth of the persons those who are involved in the business concern. Wealth maximization is also known as value maximization or net present worth maximization. This objective is a universally accepted concept in the field of business. –Wealth maximization is superior to the profit maximization because the main aim of the business concern under this concept is to improve the value or wealth of the shareholders. –Wealth maximization considers the comparison of the value to cost associated with the business concern. Total value detected from the total cost incurred for the business operation. It provides exact value of the business concern. –Wealth maximization considers both time and risk of the business concern. –Wealth maximization provides efficient distribution of resources. –It ensures the economic interest of the society. –Wealth maximization may not be suitable to present day business activities which are oriented towards profit derivation. –Wealth maximization is nothing, it is also profit maximization, and it is the indirect name of the profit maximization. –Wealth maximization creates ownership-management controversy. –Management alone enjoys certain benefits. –The ultimate aim of the wealth maximization objectives is to maximize the profit. –Wealth maximization can be triggered only with the help of the profitable position of the business concern. PROPER ESTIMATION of TOTAL FINANCIAL REQUIREMENTS: Proper estimation of total financial management is a very important objective of financial management. The financial manager must estimate the total financial requirements of the corporation. 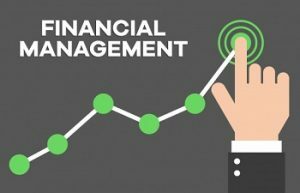 The finance manager must estimate the total financial requirements and find out how much finance is required to start and run the corporation. PROPER MOBILIZATION: Mobilization means ‘collection’. Mobilization of finance is an important objective of financial management. After estimating the financial requirements the financial manager must decide about all the sources of finance such as,shares,debentures, bank loans etc. PROPER UTILIZATION of FINANCE: Proper utilization is another important objective of financial management. The finance manager must make optimum utilization of finance and use the finance profitable. He also must not waste the finance of the corporation and not invest the corporation’s finance in unprofitable projects. MAINTAINING PROPER CASH FLOW: Maintain a cash flow properly is a short-term financial management objective. Every corporation must have a cash flow and a healthy cash flow can help to improve the chances of survival and success of a corporation. SURVIVAL of COMPANY: Survival is the most important financial management objective of a corporation. A corporation must survive this competitive business world competitively. So the financial manager must be very careful to make any decisions. Otherwise, the corporation will fall or close down. CREATING RESERVES: Creating reserves is one of the objectives of financial management. The corporation must not distribute all the profits as dividends to the shareholders where one part of the profits should be reserved that can be used for future as growth, expansion or tackling contingency. 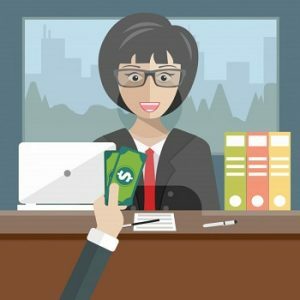 PROPER COORDINATION: Financial management must try to have proper coordination between the finance department and other departments of the corporation. CREATE GOODWILL : Financial management must try to improve the corporation as a whole through creating goodwill. Goodwill helps a corporation to survive and succeed in short-term and long-term and also help in bad times. INCREASE EFFICIENCY: Proper distribution of finance to all the departments is also an important objective of a corporation and it will help to increase the efficiency of entire corporation. FINANCIAL DISCIPLINE: Finances management also tries to maintain a financial discipline.This discipline means to invest in high profitable projects and avoid financial wastage or misuse. ABATE COST of CAPITAL: Financial management must try to abate cost of capital. He tries to take loan at a low rate of interest. And he also must plan the structure of capital in a such type of way that minimizes the cost of capital. ABATE OPERATING RISKS: An another objective is to abate operating risks and financial management must try to reduce this risks.There are many insecurities in every corporation. So,he must avoid high-risk and take a proper insurance. PREPARE CAPITAL STRUCTURE: Financial management also prepares capital structure and it creates a proper a proper balance between different sources of capital. This balance is necessary for every business.